The sad Cesar Diaz boxer death has been confirmed today in news that has rocked the boxing world to lose such a young, talented fighter. 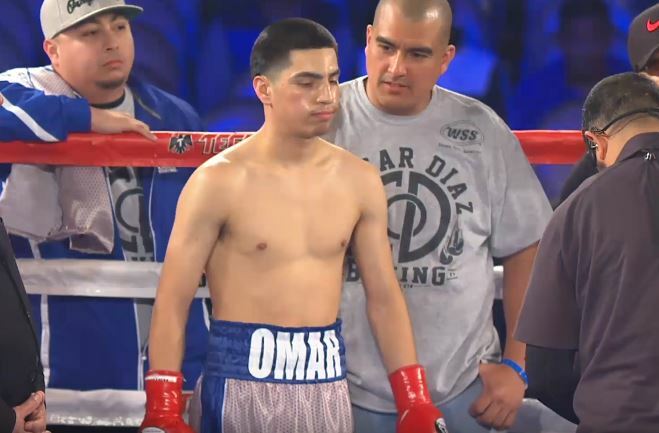 The boxing world was hit with sad news today when it learned that one of it’s young bright stars of the future, Cesar “Omar” Diaz, had his life cut tragically short at the age of 20 years of age. A statement from his promoter said that his girlfriend was also in critical condition following the death of Diaz but did not give further details. Now however Latin Box Sports has confirmed that the 20 year old sadly died in a car accident last night. Everyone at Boxing News and Views sends our thoughts and prayers to the family and friends of Cesar at this time.